When it comes to iconic British outerwear brands, Gloverall is among the most notable around. But where did it all start? 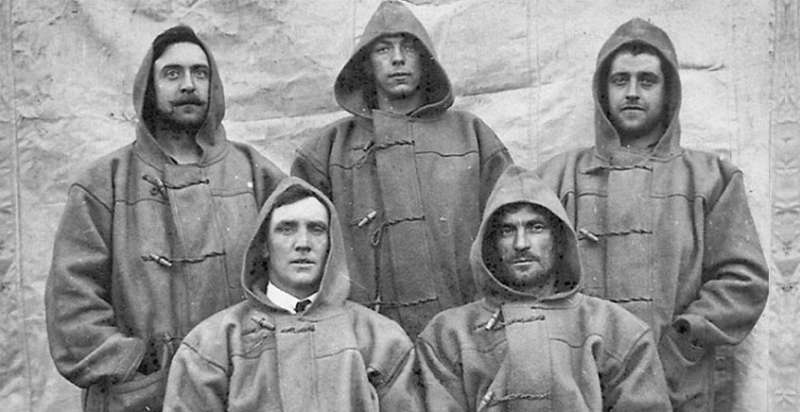 Read on for the complete history of Gloverall. While the word duffle might have been created by the Belgians, it was pulled into notoriety by the British. 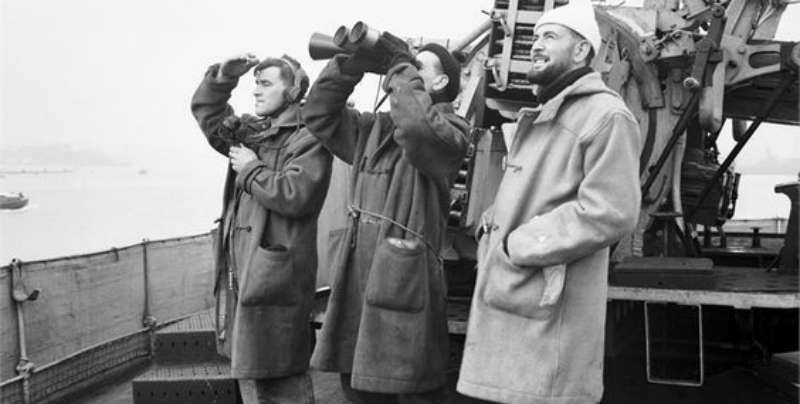 From its humble roots as a woolen cloth / blanket in the Belgian town of Duffel, the British Navy began using the name to describe a distinctive type of coat with particular toggle fastenings - giving the word an entirely different meaning. This name has since stuck, and to this day is till used to describe the same type of, largely unchanged, coat used both in the Navy and adored by the general public. But where did the name come from? How did it all begin? Read on for the complete history of Gloverall. After the end of World War II, H&F Morris were given the opportunity to purchase a large amount of surplus military duffle coats which they distributed among camping and leisure stores. As the coats sold out in record speed, Harold and Freda (owners of H&F Morris) were inspired to produce their own collection of Gloverall duffle coats under the new company name. Expanding the business from exclusively duffel coats to producing car coats and reefer jackets, they quickly established themselves as a leader in British casual outerwear which soon led to international interest with Gloverall USA, Canada, France and Sweden among their biggest customers outside the UK. By the time the swinging sixties had come around, Gloverall were being exported worldwide which led to the construction of a new custom built factory in Northamptonshire. As the brand began to design more fashion forward overcoats and casual clothing, their popularity soared in the UK and across the globe. By the end of the decade, Gloverall were stocked in over forty countries. In an unusual twist, by the mid-seventies Japan had become Gloverall's biggest market, followed by North America and Scandinavia. As recognition of their export numbers they were placed on the Silver Jubilee Honours list, only to receive another royal nod later in the decade when they were asked to supply clothing for the British Transglobe Expedition which HRH Prince of Wales was travelling with. As the times began to see a more relaxed approach to dressing, Gloverall responded with both men's and women's bomber jackets, capes, a broader range of duffle jackets and overcoats. By the time the eighties had come around, Gloverall were a well-respected name in Britain and further afield. During the decade, they won the first ever British Apparel Export Award, alongside being listed in the top three brands in the Customer Awareness League of British Outerwear. In yet another nod from the royals, HRH Princess Anne visited the Gloverall factory in her first year as President of the British Knitting and Clothing Export Council. By the 1990s, Gloverall had expanded its range even further, now designing accessories including hats and scarves alongside the now epochal Gloverall coats. Alongside this, they started producing jackets from super wax, heavy duty cottons and micro fibres as well as coats and jackets in cotton cambric padded out with goose down, luxury fabrics, pure wool elysian herringbones, harris tweeds and cashmere mixes. Furthering their association with the royals, by the mid-nineties Gloverall received another royal nod when they win the Queens Award for Export. Gloverall, now well established and selling in major stores worldwide, commemorates its Golden Jubilee in 2001 with a special edition Duffle coat made from 100% Angora wool. In 2010, on approaching its 60th Anniversary, Gloverall reproduce modern versions of its iconic 1950s duffle coat with the original checkback designs, as well as the car coat which was popular in the 1950s when cars had inadequate heating. For Autumn 2015, Gloverall introduced their 1951 collection which took inspiration from a set of black and white photographs from the early days of the British Grand Prix. Focusing on the reinvigoration of the Monty duffle coat, they updated the classic boiled wool style adding appliqué racking motifs and pins. In addition, other updates included all-weather raincoats, quilted rally jackets and sports car coats designed with premium British fabrics. After the end of World War II, H&F Morris purchased a large amount of surplus military duffle coats - the beginning of Gloverall. Expanding the business from exclusively duffel coats to producing car coats and reefer jackets they quickly established themselves as a leader in British casual outerwear. By the time the swinging sixties had come around, Gloverall were being exported worldwide which led to the construction of a new custom built factory in Northamptonshire. Gloverall has previously won the first ever British Apparel Export Award, alongside being listed in the top three brands in the Customer Awareness League of British Outerwear. Furthering their long association with the royals, by the mid-nineties Gloverall received another royal nod when they won the Queens Award for Export. And there we have it! While we all love to shop around, if it's really quality that you're looking for - you should always consider one of the heritage brands that made a style popular. In this case, when picking yourself up a duffle coat it doesn't really get much better than Gloverall. Don't believe us? Pop on over to the Gloverall brand page for a look at some of their timeless, iconic duffel coats.